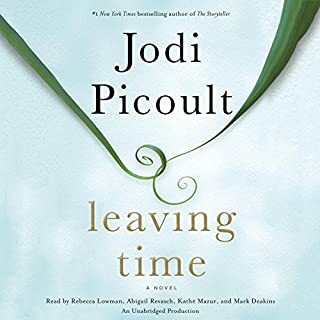 I have already posted recommendations on Goodreads, Amazon, and sent out several emails & texts to friends, telling them this is a "HAVE TO READ"! What was one of the most memorable moments of Walk to Beautiful? It would be hard to choose just one and I wouldn't want to give away the story. I think throughout the story, I was constantly touched by this young man's honesty and willingness to work hard, even when those around him showed him no examples of either character trait! He tells his story without laying blame or being negative. He tells the story, but the reader is uplifted by his diligence and faith, in even the most difficult circumstances. Which character – as performed by Gabe Wicks – was your favorite? I'm not sure this applies since this is a biography so the story is about one character, Jimmy Wayne. Again, I don't want to give anything away, but then ending is literally beautiful. I LOVE to read. In recent years, my reading has been via audio books and I consume--actually devour--an average of a book a day sometimes! I know a book has really touched my heart when it ends and I feel like I have lost friends. That is doubly tragic when the "friends" are fictional characters. This morning's ending was different, a touching, true story of a young man who grew up with a life eerily similar to my hubby, Gary, the Alabama Turtle Farmer! 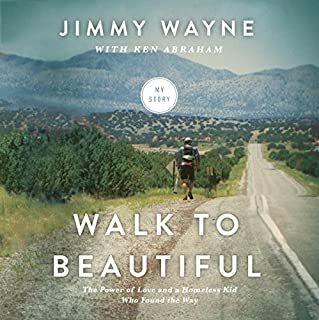 The book, A Walk to Beautiful by Jimmy Wayne, by Ken Abraham. Throughout the story, I was constantly reminded how a positive attitude, honesty of character, and a willingness to work hard can serve even those in the most extreme circumstances. I can't imagine how someone could read this story and not be touched on many levels. The hand of God was most certainly on this young man as he overcame a life most of us can't imagine. As an adult, his passion is to raise awareness for the plight of children who need foster care, adoptive homes, and especially, that every state will raise the age of foster children in state care to 21. This gives a young person time to pursue higher education, become established in the work force, or just mature a little more before facing the adult world. I recommend books often and my tastes are varied--from numerous audios of The Bible and Christian fiction to Stephen King and Dean Koontz. I don't say this lightly, Everyone should read this book! I can count on one hand the books I read or listen to more than once, other than The Bible. This will be on the "read again" list! On Goodreads.com, it is going on my "Highly Recommended by The Turtle Lady" shelf! The Alabama Turtle Farmer (my hubby) is about to start the printed version and I'm having a very hard time not sharing the story with him! If you enjoy reading, get the book! If you don't know how to read, get the audio...or learn to read so you can read this book! 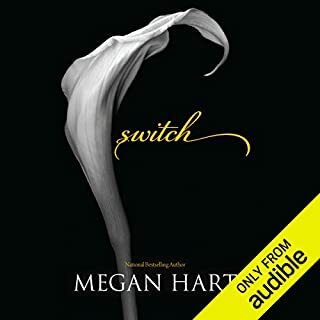 Where does Before He Finds Her rank among all the audiobooks you’ve listened to so far? It was definitely a quick listen because I couldn't put it down! I like to be surprised. I don't like to anticipate the ending. I like to have my reading (or listening) propelled by the need to know what happened and what will happen next! Yes, but answering would be a spoiler. Wonderful!!! What a touching story! This is a moving story! I could not put it down! So many aspects of the story we're interesting--the story of a single life, the touches of history, the Christian element--so moving! 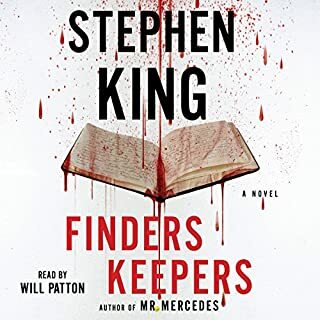 Great side story to Mr. Mercedes! I loved this one!!! Please tell me there will be another one about these characters!!! From the author of the best-selling classics We're Just Like You, Only Prettier and Bless Your Heart, Tramp comes a collection of essays so funny, you'll shoot co'cola out of your nose. 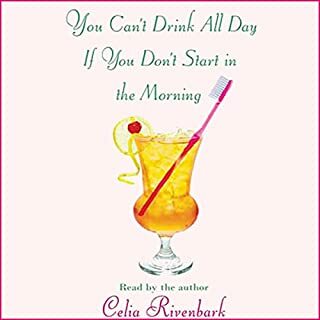 You Can't Drink All Day if You Don't Start in the Morning is sure to appeal to anyone who lives south of something. LOVED this book! It's really two stories in one! 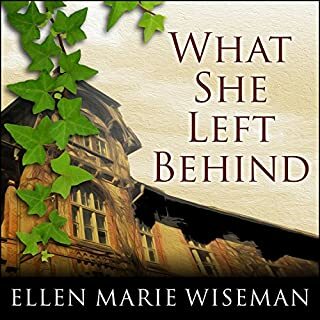 Where does What She Left Behind rank among all the audiobooks you’ve listened to so far? Definitely in my top ten...and my library contains over 2000 audio books! What was one of the most memorable moments of What She Left Behind? I am afraid to answer this because I don't want to give anything away. The ending was beautiful, but there were so many moving points in the story! Izzy was my favorite in the modern story and Clara was definitely my favorite overall. I'm not creative enough to do this justice--my failing, not the book's! I HIGHLY recommend this! I almost never give a book 5 stars! "Don't get me wrong, I'm not in the habit of reading other people's mail, but it was just a piece of paper with a few lines scrawled on it, clearly meant for the apartment upstairs. It looked so innocent, but decidedly - deliciously - it was not." Good story, VERY strong/crude language! What did you love best about Switch? The story--a young woman receives notes addressed to someone else, reads each one & follows their "instruction" to change her life--is intriguing. Don't want to spoil...when Paige delivers the "last" note to the hotel for the person the notes were actually addressed to. Yes! The language and play by play sexual info made me blush through the whole book! I have to credit the author for having the talent for creative and unusual phrases. 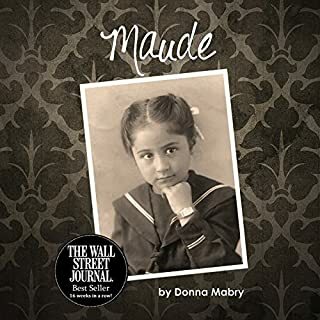 She has crafted an entertaining story with strong characters. I would have enjoyed it more if Paige didn't have such a "potty mouth" and I could have done without the TMI sexual play by plays. I'm no prude (listen to/read everything from The Bible & Christian fiction to Stephen King & Fifty Shades) but the language and extreme sexual info was distracting from the real story. For those who might be uncomfortable, I would say, "This is a Fifty Shades-type story...IF the main character in Fifty Shades, Anastasia, had a vocabulary that would make a sailor blush!" Brek Cuttler has it all: a husband she loves, a daughter she adores, a successful law practice. And then one day everything she has ever known disappears. Brek finds herself standing on a deserted train platform, covered in blood. 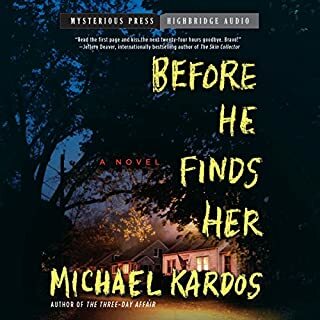 As she tries to comprehend what is happening to her, a man from her past approaches and explains that she has been chosen to join the elite team of lawyers charged with prosecuting and defending souls at the Final Judgment. Wonderful! A new favorite with so many messages! Would you consider the audio edition of The Trial of Fallen Angels to be better than the print version? I did not read the print version, but listened to the UNabridged audio. Who was the most memorable character of The Trial of Fallen Angels and why? 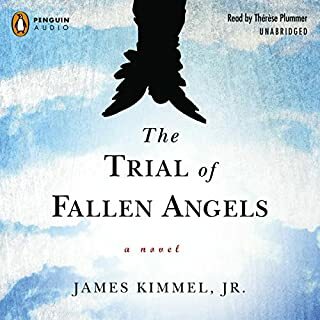 The Trial of Fallen Angels by James Kimmel Jr. is a wonderful read! I have read mixed reviews about the book, but I can say that it was easily one of the most moving things I have ever read! It is often compared in reviews to The Shack by William Young. I can see the reason for the comparisons. It is definitely fiction, but the fictional story depicts a modern-day example...parable, if you like...of life--the good and evil in each of us, the struggle we each have to balance love and forgiveness, the judgements we must make about our fellow man...and the judgements God must make on us. I don't want to spoil the message, but the book is deep. As with The Shack, it is not intended to be literal. It is merely intended to use a story to demonstrate what might be, in order to view the many sides of each story, each incident that makes up our lives, the reasons behind the choices we make. Ultimately, it's the story of the TRUE meaning of UNconditional love and justice. I recommend it highly. For my friends who might be offended, there are a few, very few curse words...just what I call "minor, true four-letter words" if I remember...and used only when someone is crying out in true, horrible grief. There is much in the story about history, the Jewish faith, the Christian faith, the flood, Noah, and Noah's reason for his sacrifice to God after he and his family left the Ark. There is also a huge message about the love and judgement of God and the power of forgiveness offered by my Jesus! Strong language and pee your pants humor! If you could sum up The Dirty Parts of the Bible in three words, what would they be? 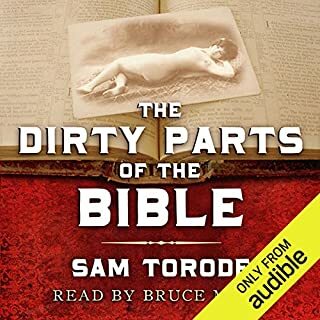 What other book might you compare The Dirty Parts of the Bible to and why? Too many to choose & I wouldn't want to spoil the story! If you could take any character from The Dirty Parts of the Bible out to dinner, who would it be and why? Craw...although I would want my hubby along just for...safety! I THOROUGHLY enjoyed this book, but I would warn readers that the story's main character is a young man who is controlled by daydreams and hormones...and many of the other characters are hobos. The language is very strong, appropriate to the situation and characters. The story is "pee your pants funny"!